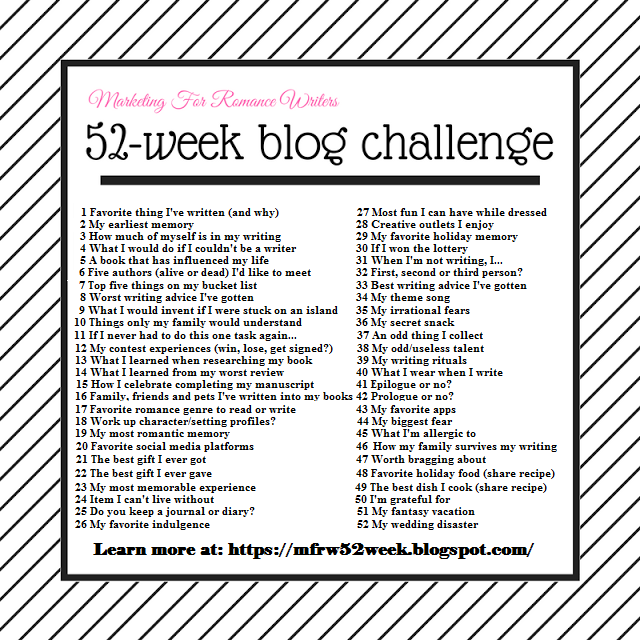 This week’s writing prompt is, What I would invent if I were stuck on an island. Oh no! Please don’t ask me this. I’m not technically inclined at all and I cannot create anything with my hands that doesn’t involve typing. My goal would be to get off the island, but I doubt I’d be able to build anything myself. I have often said that if I ended up on a desert island I would probably die because I hate coconut. I would probably need to invent a way to get my fruits and veggies without eating coconut. I’d have to live on bananas, but too many bananas can cause constipation, which would be miserable. Let’s just hope I never get stuck on an island. What about you? What would you invent if you were stuck on an island? Let me know in the comments.